This year, along with the draft, there is the free, un-ticketed NFL Draft experience—a mock NFL combine, a bunch of games for kids, a replica locker room, an actual bald eagle from the Elmwood Park Zoo, et cetera. That’s a lot of stuff to do, but maybe you need something to spice up your trip to the draft. That’s where NFL Draft Jersey Bingo comes in. Naturally, lots of people will be wearing NFL gear to the draft. Reply to the comment below that reads “REPLY TO THIS COMMENT FOR A BINGO CARD” to receive your own bingo card; keep track of which channel and when you saw the jerseys, and the first person to email tips@deadspin.com with a winning bingo (up, down, diagonal, or four corners) will, after we verify it, win an actual NFL jersey. Some rules: A white Carson Wentz Eagles jersey counts the same as a green one; a red Eli Manning jersey counts the same as either a blue or a white one. A shirsey counts the same as a jersey. Keep this as simple as possible, but remember to note where and when you saw the jersey. 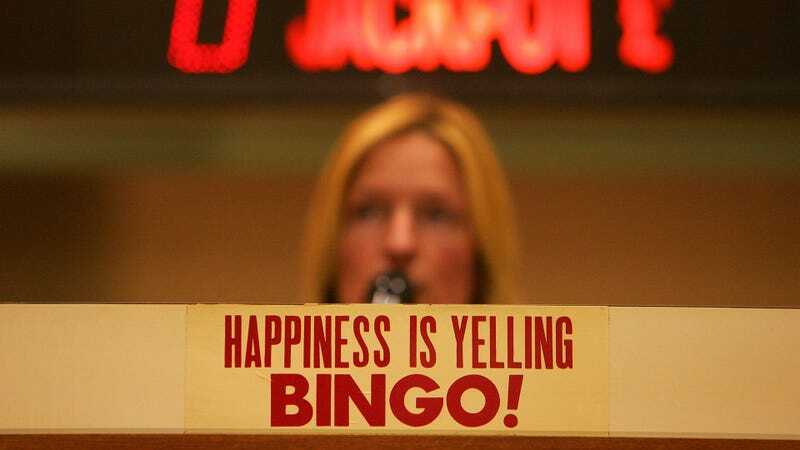 We only have 200 bingo cards, so first come first served. Update (1:30 p.m.): All 200 cards have been claimed.